Basiliscus Film provides either EB-camera teams or just a highly qualified cameraman with additional skills of a sound engineer. It is up to you. We are based in Berlin and support you with your film production. Our prices vary with the choice of equipment, as well as your claims. Our camera crews can be booked as a three-person team, consisting of cameraman or camerawoman, sound engineer, as well as an editor. He or she takes care of the organization of the shooting dates, has internalized the schedule of the day of shooting, makes interviews and feels responsible for the well-being of the protagonists. You can also hire a smaller, cheaper two-person team from us. This means a cameraman, who also takes over the tasks of a sound engineer plus an experienced editor with journalistic background. In recent years, we have made very good experiences with this set-up and often operate as a two-person team. The advantage lies not only in clear cost savings, but also our protagonists appreciate it. Two, that means a manageable size and could provide a pleasant atmosphere. And we love good vibes. This is a real benefit, especially with inexperienced protagonists. We have seen it time and time again that people could better handle a small team when they are accompanied by a camera for hours Our protagonists open up much easier which makes it easier for us to tell a good story. 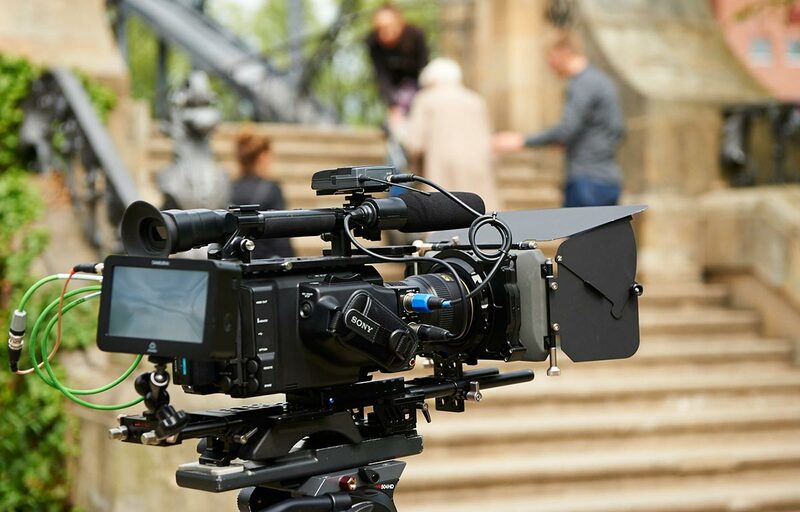 If you are an editor yourself and looking for a professional camera team based in Berlin, you can of course use our services without editorial support. The smallest team is the VJ, the video journalist. A man or a woman for everything: camera, sound and editorial responsibility. There may be people who are good at this type of video journalism, we are not convinced. Somewhere on the way there might be losses, there have to be. Anyone who has ever stood behind a camera, knows how many different features and technical settings you have to pay attention to during a long day of shooting. If the sound recording and the editorial work is added, then one can quickly lose sight of the big picture or the important detail. The more we concentrate, the better for the final product. We prefer to rely on quality and come to your film production with at least two qualified persons.